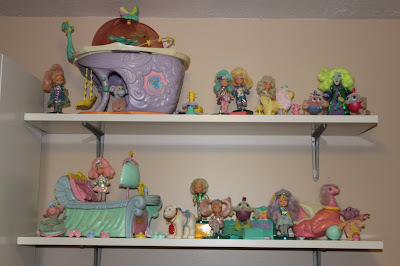 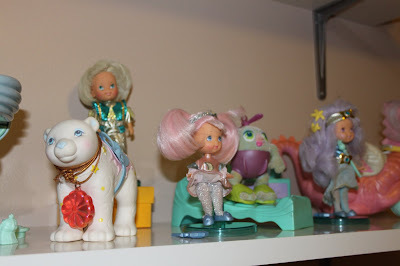 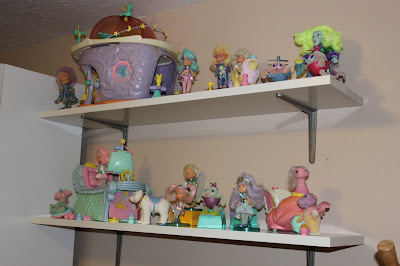 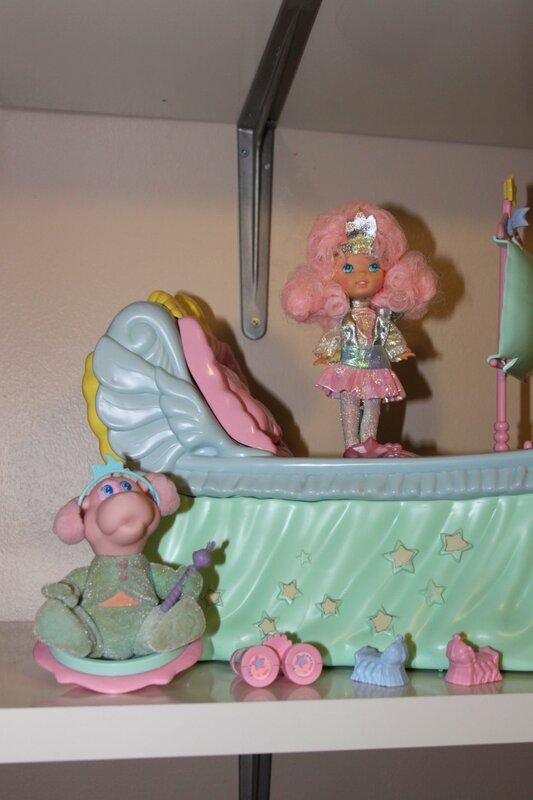 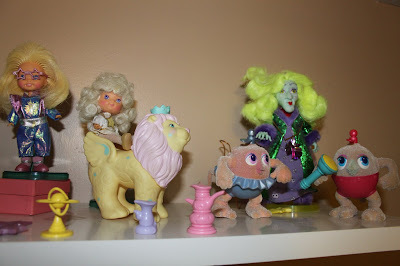 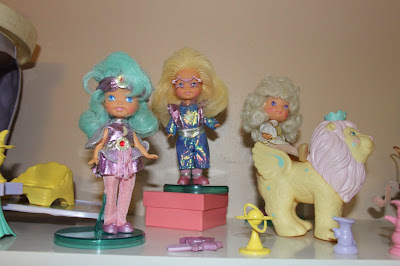 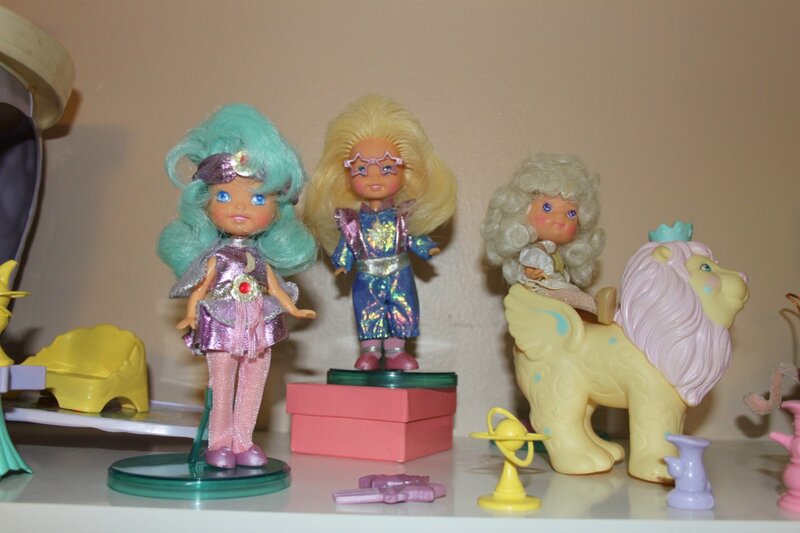 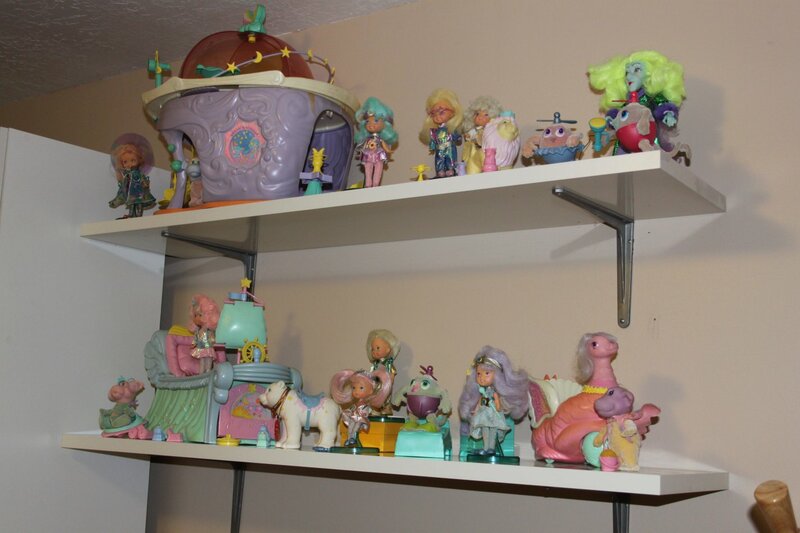 The 80's Toy Ark: Moon Dreamers on my Little White Shelf! 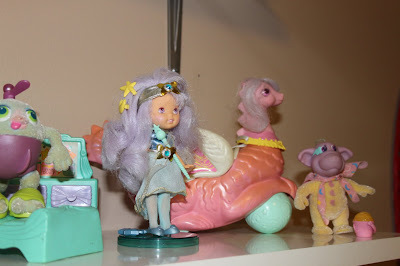 I took down the Fairy Winkles today and out up my collection of Moon Dreamers! 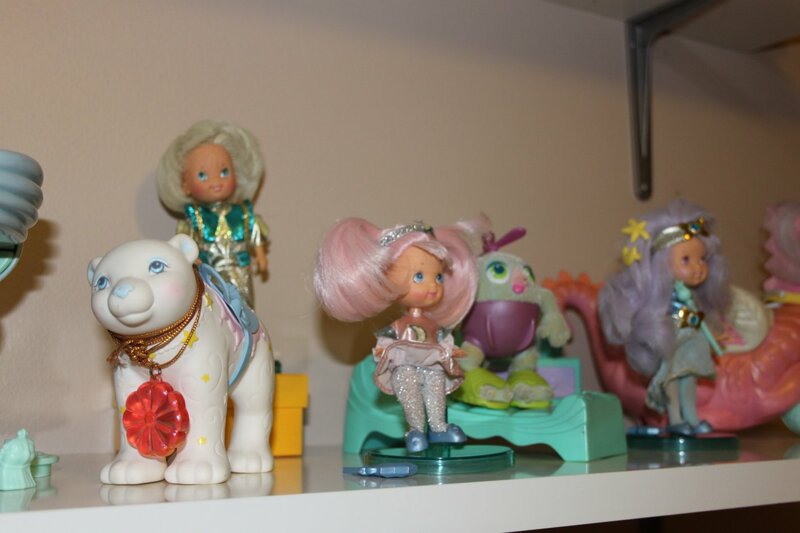 This collection is coming along nicely, although I am missing the hardest to find items: the necklaces, the records, the hair clips and Ursa Minor. 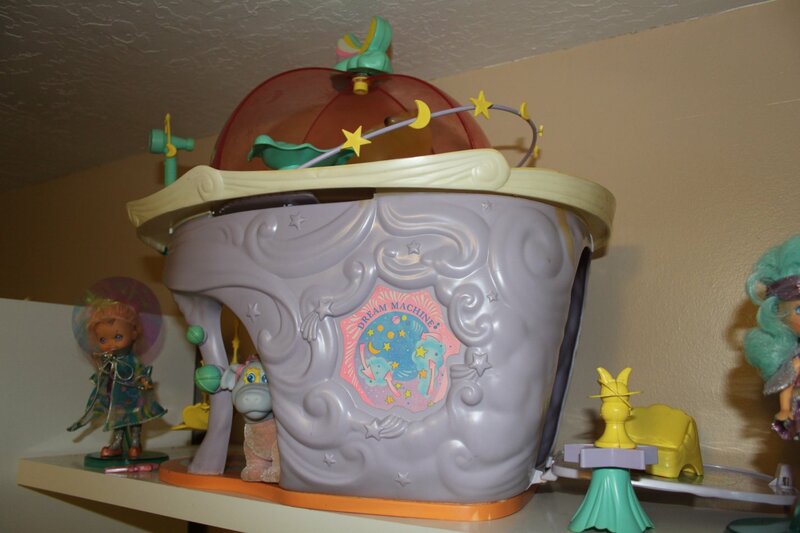 Anyone paying attention to the market on eBay would know that these things don't come up very often. 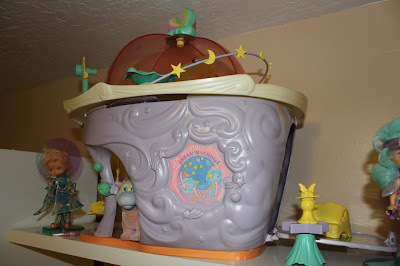 I have only seen Dream Central a handful of times.